REV. JAMES DONALD HREHA was born in Darby, Pennsylvania. He received his early education at St. Pius X School and Devon Preparatory School in Philadelphia, Pennsylvania. He began his studies for the priesthood at St. Charles Borromeo Seminary, Overbrook, Philadelphia, PA. Upon graduation he pursued a career in law enforcement as a Correctional Officer at the Chester County Prison. He returned to his studies for the priesthood for the Diocese of Wilmington. He completed theological formation at St. Mary’s Seminary in Baltimore, Maryland and was ordained on November 7, 1987 at St. Peter’s Cathedral, Wilmington, Delaware by Bishop Robert E. Mulvee. He was first assigned as associate pastor at St. Elizabeth Church, Wilmington, Delaware. In 1990 he was transferred to be the associate pastor at St. Catherine of Siena Church, Wilmington, Delaware. 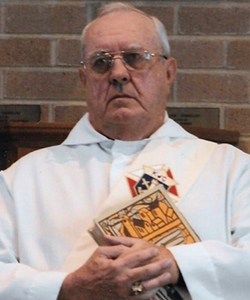 In 1992 he was appointed chaplain to the Delaware Correctional Center in Smyrna, Delaware and in 1997 he was assigned as associate pastor to St. Peter the Apostle Church, New Castle, Delaware. 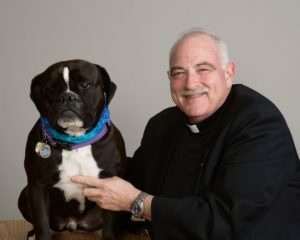 In June 2000 he was assigned as associate pastor at St. Edmond’s Parish in Rehoboth Beach, Delaware with special Pastoral Care of St. Jude Mission. On November 30, 2002 St. Jude Mission was erected as St. Jude The Apostle Parish by Bishop Michael A. Saltarelli and Rev. James Hreha was appointed the founding pastor where he served until being assigned to St. Polycarp Parish in Smyrna, DE in June of 2015. In the summer of 2017, Fr. Jim was appointed Pastor of St. Dennis in Galena, Maryland (effective September 8, 2017) in addition to his assignment at St. Polycarp. Thank you, Fr. Jim, for all you do to shepherd our flocks in building the Kingdom of God! DEACON CHARLES ROBINSON (retired) was born in Staten Island, New York. He retired from the Fire Department City of New York after 21 years of service. He was ordained as a deacon on November 18, 2000 by Bishop Saltarelli and was assigned to St. Polycarp Parish in Smyrna, Delaware. He pursued and obtained his Masters Degree in Pastoral Care and Counseling from Neumann College. Deacon Charles and his wife Maureen are happily married for 58 years. They have 4 children, 10 grandchildren and 3 great grandchildren.